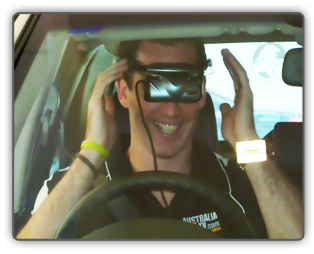 "Last week Victoria Police in partnership with the Wellington Shire Youth Council bought the Virtual Reality Driving Simulator to all the secondary schools in our area. We attended a different school each day and put approximately 470 students through the program. The students were introduced to the idea of positive driving and the problems associated with driver distractions and road hazards. 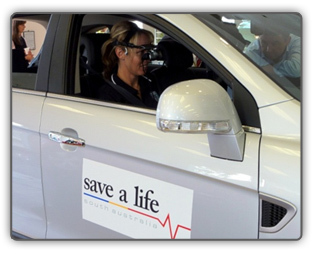 The students who got to drive the car were given different scenarios with either speed, using a mobile phone, or road hazards such as pedestrians or a cars backing out as the issue. The students watching the screen got to witness, like a passenger what could happen in any of these scenarios. Both the students and teachers thought the program was good and some said better than expected. They enjoyed the fact that you drove a real car and that it was quite realistic. The program covered aspects of Victoria Police’s aim to reduce the Country Road Toll in 2011 as a police intelligence report into regional trauma in 2010 found major contributing factors to fatal and serious injury collisions were Speed, Fatigue, Distraction, Alcohol, Fail to wear a Seat Belt and Failure to Give Way. All of these factors were covered during the 45 minute program delivery. Darren was very professional in his approach to us as the organisers as well as to the teachers and students that he addressed. Feedback from the students have stated that “they would drive slower”, “take more care”, “always wear a seatbelt never get in without one”, “I won’t keep my mobile phone on while driving so I won’t have the temptation to answer it.”"
“Having had the chance to both watch non-driver students and then as an experienced driver 'drive' the car linked to the simulator myself, I am convinced the simulator will give those that use it a realistic experience that will bring enormous benefit to their attitude toward the real thing. The realisation that you cannot always predict a situation and so need be alert and concentrate is a great way to start to think about driving. 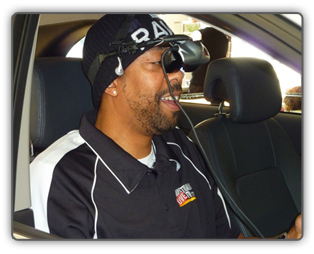 Even younger people who will only be passengers can get an appreciation of the challenges faced when driving. Even as 'back seat' drivers these passengers can influence driver behaviour and so encourage those driving to stay alert, stay safe and protect all in the car and other road users. I hope the simulator is made available as a standard part of driver education both in schools and with driving instructors”. 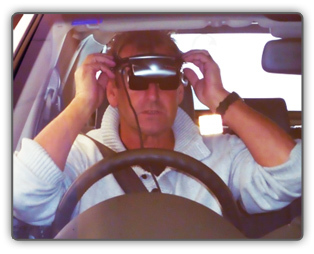 John Kosmina – Former Arsenal player and ex- coach of Adelaide United and Sydney FC.